Let me apologise straight away for slanting this blog on the subject of the UK tourism industry, when I am sure there are other issues we should be concentrating on at this stage, such as the Greek economy and the possible ramifications for Europe’s banking industry. A recent article in” The Caterer and Hotelkeeper” was brought to my attention by Sue McNicol who runs our UK Chapter .The article compared the UK’s VAT rate for the tourism industry which remains stubbornly at a high 20%, whilst Ireland has just announced it is dropping its VAT rate for hotels, restaurants and pubs from 14.5% to 9% in order to stimulate the tourism sector. How does the UK compare with its other competitors in the EU in the same sector? France has reduced its rate from 19.6% to 5.9% for restaurants and hotels. Belgium has done likewise for restaurants, reducing the rate from 21% to 12% and Germany has reduced the rate on hotel accommodation from 19% to 7% and Spain has a reduced rate of 8% for hotels, restaurants and transport. The reaction of HM Treasury to representations to reduce the rate in the light of the upcoming Olympics in 2012? If ever there were an opportunity to provide a stimulus to tourism this should be it surely? But no, instead we get a sucking of teeth from Treasury officials and bland statements to the “Caterer” such as "…It wouldn’t be possible to simply offer a blanket VAT cut for the tourism industry…" Well why not? If it is possible for the French, Irish, Germans and Belgians, why not for the UK? Frankly I blame the way civil servants are educated and recruited in the UK, let’s face it they are the ones who influence Ministers and policy – it seems to me that there is a severe lack of business acumen and imagination in most government departments that runs all the way to the top. Perish the thought that a Treasury official should come up with an innovative way to create jobs and revenue. Likewise I suspect so many MPs are “career politicians”, that we are getting fewer and fewer would be government ministers who have any idea how businesses run in this country. 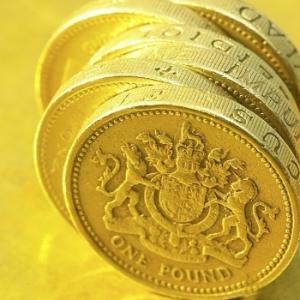 Here is an industry earning for the UK some 20 billion plus US dollars a year, with the potential to earn a lot more, we have a government which has declared its desire to expand the economy away from a dependence on the financial sector and an industry keen to meet that challenge. What do we receive in return? Higher APD, more restrictive visa requirements and a refusal to even look at the VAT issue – “plus ça change”- as they are fond of saying in Whitehall. One bright spot – no sooner had I delivered my recent polemic on the slowness with which the Spanish Government was dealing with the implementation of the new Timeshare Directive, than Maria Rodriguez from our Spanish Office emails to inform me that things are moving and the draft law has been published and is moving forward. Which just goes to show that the pen is still mightier than the sword. Well done Madrid!